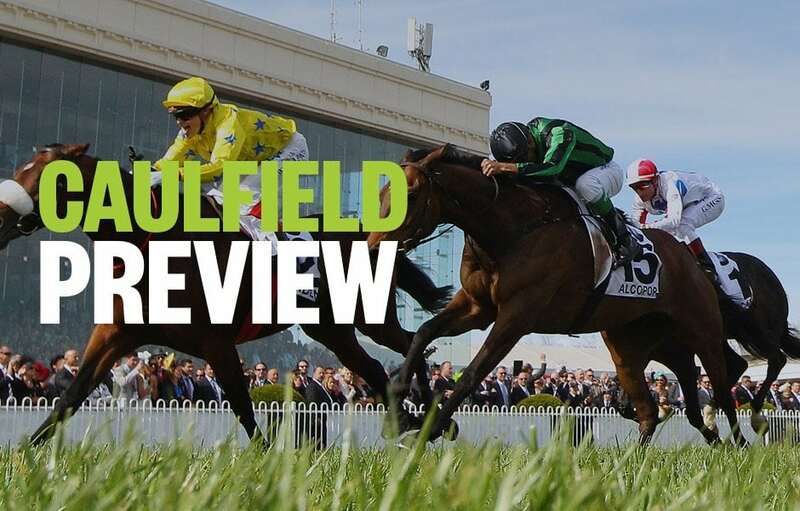 Palmerbet Racing Team previews Saturday’s big Caulfield meeting, with horse racing tips and analysis for all nine races on the card. Good luck, punters! Tough race to predict. SELF SENSE has had the benefit of a solid run to get ready and should run on. SILENTZ is the star of this grade winning past 3 and looms largest again. Has a new trainer. MAGNAPAL should be up on pace and is fitter after a good 6th when resuming. If TROPEZINA runs here she will take beating despite bad draw. Is very fast. Also engaged in Sydney. CRACK THE CODE is an emerging star too and has won past 2. Is super fit now and should make presence felt all the way. EMBRACE ME has found good form winning 2 of past 3 and looks well up to this now. I AM A STAR is near unbeatable in this grade normally. Is resuming here and fresh form isn’t great but class will carry her a long way. TELEPLAY has the coveted rails draw. Is resuming too but last campaign looked very good and has won first up previously. JUST HIFALUTIN is courageous and won similar race last start when 2nd up. Fitter now. Place show. Interesting race here. Top class sprinter VOODOO LAD has a new stable now and on his day is too good for these. Is resuming and this is a tad short but he is all class late in a race. NATURE STRIP, like Voodoo Lad, is another former Darren Weir horse now in a new camp. Is the face of pace for this and will lead. Draw allows him to do that easily. Big show. JUNGLE EDGE is racing well and loves it damp. Clouds are circling so has a place shot. Good race. I AM IMMORTAL stepped out to race for the very first time in this grade 2 weeks back and was backed heavily. Jumped straight to the lead and won handsomely. Looks top shelf. Drawn the fence this time. HAWKER HURRICANE doesn’t have pace early but got home like a train on debut to win. Is first up here but has obvious talents. HULK has drawn perfectly to get a great run just behind the speed. Ran on for 2nd on debut. What a top field. Yes, there is a Gr 1 race today but this is the race of the day. Seven of them are last start winners and if you did a vox pop and asked punters to rate the top 3 2YO fillies in Australia thus far, the top trio would be in this field, they being CATCH ME, ATHIRI and BROOKLYN HUSTLE. They are hard to line up as they all race differently but to our eye ATHIRI looks to be a superstar in the making. Catch Me will be ahead of this trio as they turn and is very strong too. Wow, they probably quinella the race and the other for the trifecta. RINGERDINGDING is another to find a new trainer but he is well in here based on the form he showed last campaign. Gets back and charges home like a rocket. Resumes here but appears top draw now. ARAMAYO also resumes here. Ran a number of great races at top grade last campaign and drawn to get the run of the race here. Gets back and likes it further but is fresh. DECLARES WAR, has a new stable too. He has won his past 3 starts all in restricted grade but has shown the necessary class to say he is up to this level. Looks very smart. Many hopes as you’d expect in a Gr 1 race. A few of these have new stables and that always turns a horse on for a race or two. One of them, BRAVE SMASH, does race well this grade and track and should improve on his poor run first up this grade when 9th. KEMENTARI is a disappointment only because we all think him a superstar. Perhaps he just is a really good racehorse. Anyway, he resumes here and he races well fresh and he has the perfect draw. Looks hardest. D’ARGENTO is all class too and hits the line hard. Has the rails so may go forward early this time. LAND OF PLENTY and MANUEL will be good each way odds and both are suited to the way this race will be run. And WHISPERING BROOK beat most of these this level last start. Wow. TRAP FOR FOOLS raced his way into the silk department last campaign. He’s a star and he should drive hard to lead these here while fresh. Will take running down. AVILIUS made quite the name for himself last campaign winning 4 on the bounce and reaching Gr 1 level, where he failed. Watch market here. NIGHT’S WATCH has a new trainer and is resuming here. Has a lot of finishing power when on song. Respect.